When you start preparing for the move, you are going to have to deal with a fair share of packing. When you tackle this issue, you need to know what you are going to do with your excess items. You will have a handful of options on your hand. Some of them you might try to sell. You may put up an ad online and put your items up for sale. Alternatively, you may decide to gift your excess items to your friends. No matter whether we are talking about clothes or other types of amenities, we encourage you to share your extra with the people around you. Therefore, if you can donate electronics in the Dallas-Fort Worth region, go ahead. There are many people around us who could use some help. Young people in particular. If you have something to spare, help them if you can. There are plenty of ways to donate electronics. Where should you donate electronics in DFW? Your job after reading this article is going to be to go through your items and decide you can manage without. Heck, take a look at all of the electronics that you are not using at the moment. Donate electronics right away if you can. It will save you space, while it will help protect the environment. Speaking about protecting the environment… Make sure to check what the company that you will be donating to does with the electronics that they get from you. You should do this because there are certain companies on the market that export your old appliances only to have them dumped in the trash in some other country. This is wrong because this ruins nature. Therefore, choose only the reliable recycling companies to donate electronics to. This way, you will additionally minimize the load of items that you will need to move. This leads to a smaller price of moving costs, but only if you understand mover contracts and paperwork. Donate electronics – what should you do with your old computers? Depending on what kind and the age of the computer that you have, you might want to offer it to your friends. In the case that you are one of those people who are always looking to have the latest model of a laptop, you will surely find someone to hand over your old property. If that is not the case, you could think about selling it. After all, modern computers are easy to sell. If you this is not an option for you, for whatever the reason, then donating is something that you should seriously take into consideration. Invest in good karma and you will avoid moving scams. 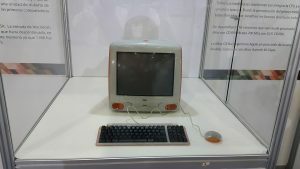 Technology progresses, and as it does, we need to find ways to rid ourselves of outdated computers. Since we are living in Texas, you should probably look to donate to Dell and Goodwill partners for recycling. The reason behind this is the fact that Goodwill and Dell have contracts with recycling companies operating on the market. Since the information on who they work with has been out of our reach, we need to trust them that they are actually recycling electronics. Similar to finding the right moving company, you need to ensure that you are dealing with a legitimate business. And whereas finding certified moving companies can be done with the assistance of Verified Movers, there are plenty of institutions that can help you donate electronics. If you have a bit more time on your hands, you should look to take advantage of Texas Recycles Computers Program. According to Texas law, every manufacturer operating on Texas market is obliged to offer free recycling. All that you need to do is to find the drop-off point. 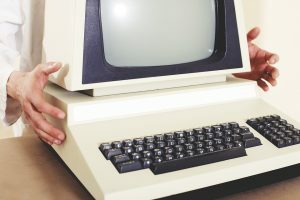 Just like in the case of computers, every manufacturer selling goods in the Lone Star State has an obligation to offer free recycling process. This allows you to choose where you would like to take your old TV for recycling. For what we know, Best Buy offers free recycling for all TVs not larger than 32″. 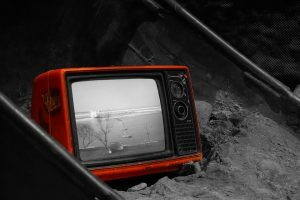 If you have a bigger one, or if a Best Buy is too far away from you, we would suggest looking up online where you could take your old TV set to. Donating your old, large, TV set will make it easier to avoid injuries when moving. There is always someone who can use the electronics you want to throw away. However, TVs do not break down that easily. Furthermore, we tend to change them because we come by a model that we like better. This means that many functioning TVs end up not used in a spare room. Such a waste. Wouldn’t it be better if we donated them? Government facilities, rehabilitation centers, hospitals and many more could use some decent TVs in their rooms. After all, people who are there have a lot on their minds. They are literally hoping for the time that they pass there, hospitals, for example, passes quickly. Therefore, think about our fellow citizens and donate your old, functioning TVs. For the past decade, cell phone manufacturers experienced a boom like so few others have. Today, we cannot imagine living our lives without a cell phone. It is a means that we use it to communicate with others. We may do it by talk and text or through the internet. Whatever the way we use, we can freely say that today, cell phones bring people together. So, what should we do with them when we change them? After all, they do tend to break down often. They especially tend to stop working after two or three years. Sometimes, when they are in working order we still choose to change them. Why do we do this? Simply, the technology changes rapidly today. This means that there are thousands of cell phones discarded on a daily basis. We need to do something with them. Cell phones are probably some of the electrical appliances that we can most easily hand over. They are small and everyone knows how to use them. While they may look and feel too old for us, they usually have some life left in them. In that case, donate to someone who you know could use a new one. In case that you are getting rid of a malfunctioning cell phone, you should probably turn to FedEx for recycling. Actually, any phone shop will accept your old phone and send it for recycling. Therefore, whatever you do, do not throw them away. Donate electronics for recycling and enjoy saving our planet.